Change comes in all sizes in Singapore – from your favourite kopi stall closing down to the demolition of treasured buildings. It just seems easier not to attach meaning to a place. They all have expiry dates anyway, right? But it doesn’t need to be like this. OH! believes that art drives meaning back into the spaces we inhabit. 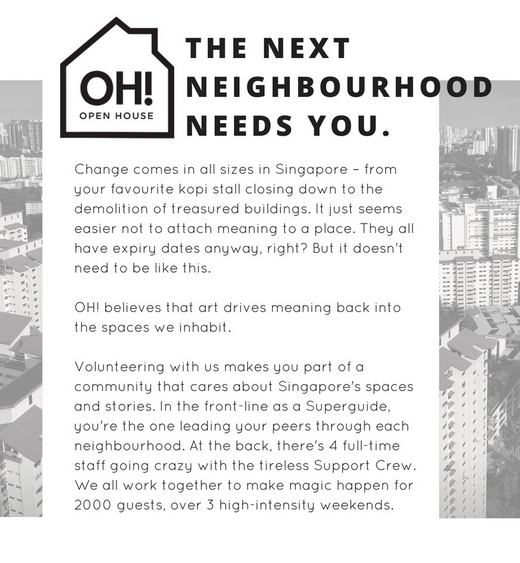 Volunteering with them makes you part of a community that cares about Singapore’s spaces and stories. 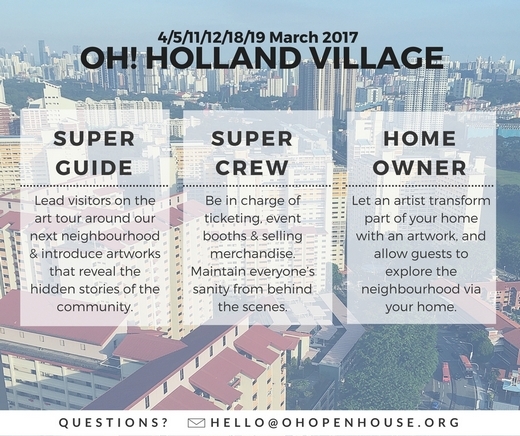 In the front-line as a Superguide, you’re the one leading your peers through each neighbourhood. At the back, there’s 4 full-time staff going crazy with the tireless Support Crew. The team works together to make magic happen for 2000 guests, over 3 high-intensity weekends.